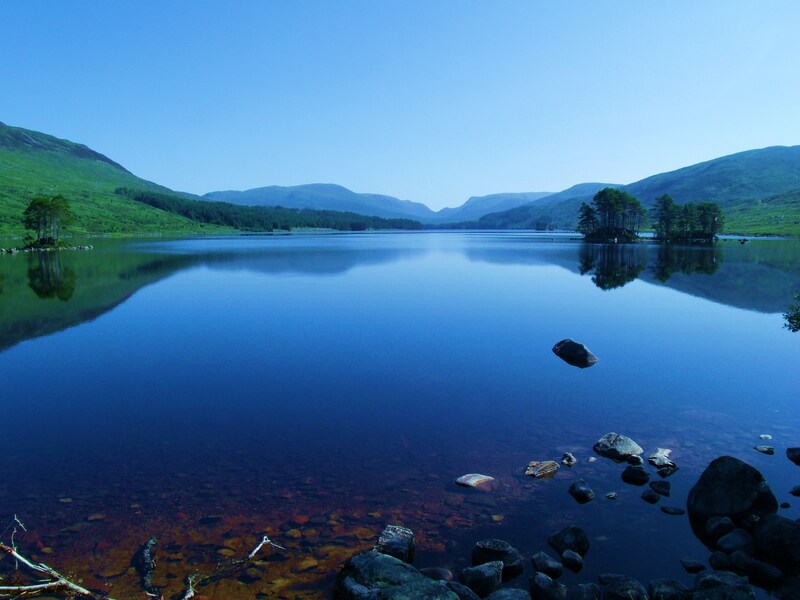 Loch Ossian is situated in a remote part of Perthshire, Scotland, at the North Eastern edge of Rannoch Moor. 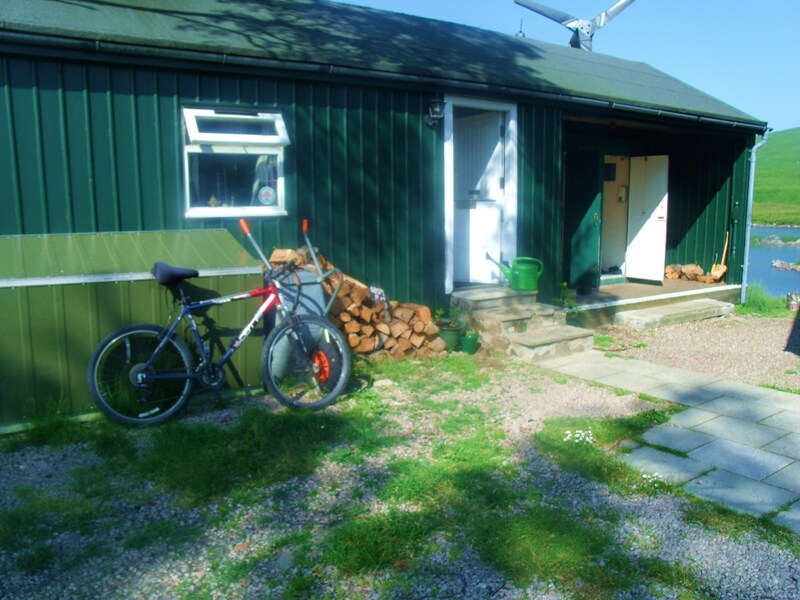 In ‘Joyful Journey, Part 2, Glencoe and Rannoch Moor’, I documented my stay at The Kings House on Rannoch Moor at the latter’s Western edge. 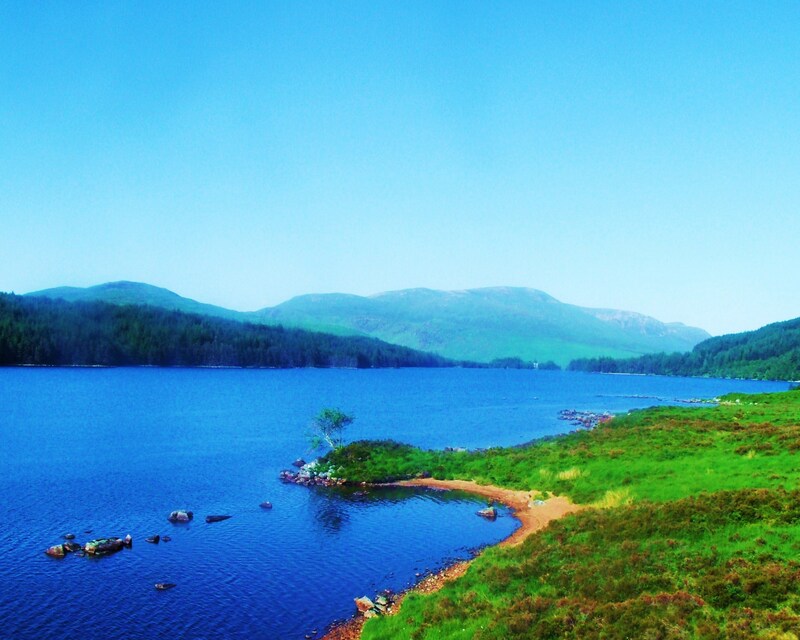 The moor stretches uninterrupted from there to Loch Ossian, north to Fort William and south East to Pitlochry and due south. The distant peaks in above photo, and several to follow, give some idea of the scale of things. 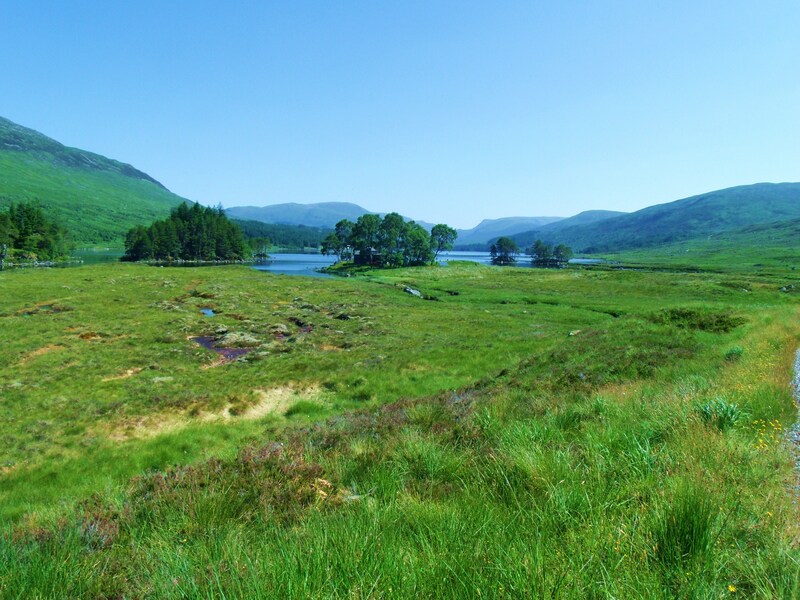 Rannoch Moor: Ringed by mountains, this vast, elevated basin is around 1300 ft. above sea level. 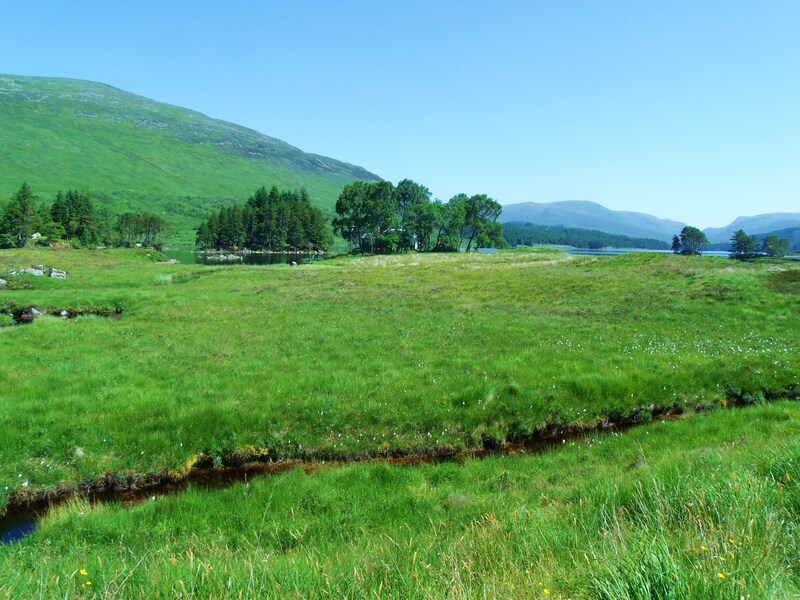 Site of an ancient glacier, it is often bleak and forbidding but can, on occasion, briefly present a bright, inviting face, as it did during my July visit to Loch Ossian. This look is deceptive, however, as the moor is ever treacherous. This unique piece of the planet is wild, desolate, unbelievably beautiful and awful in its solitude. Always it is awe-inspiring, always strange, always hazardous, always magical. It touches the soul. 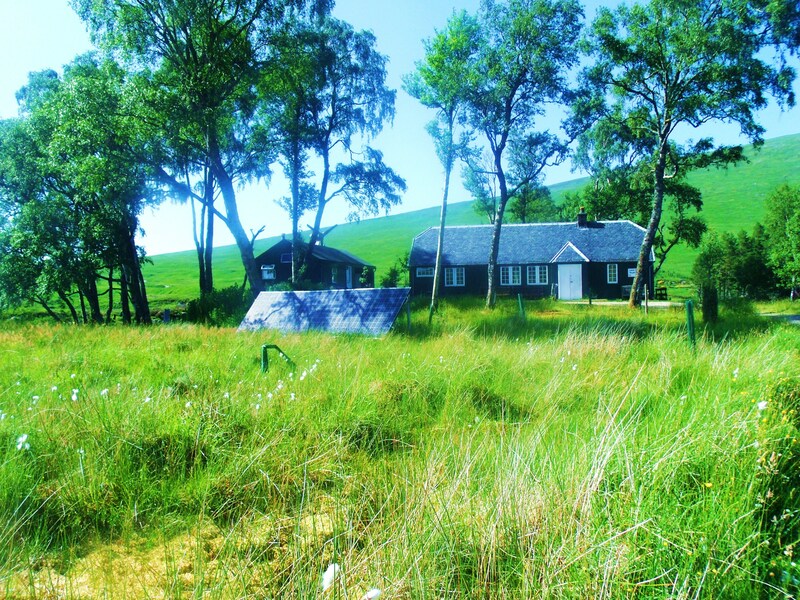 It has often been observed that the Highland landscape of Scotland changes, in mood and appearance, more dramatically and more often than any other place on earth. Nowhere is this more true than on The Great Moor, as Rannoch is sometimes known. 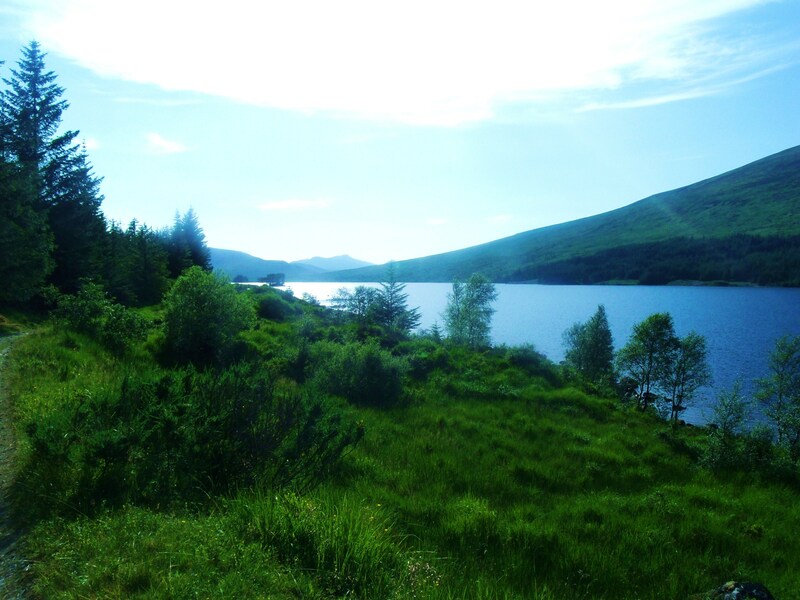 The photo below was taken from the train window, not far from Loch Ossian, in mid-May after a long arctic-like spell of weather. 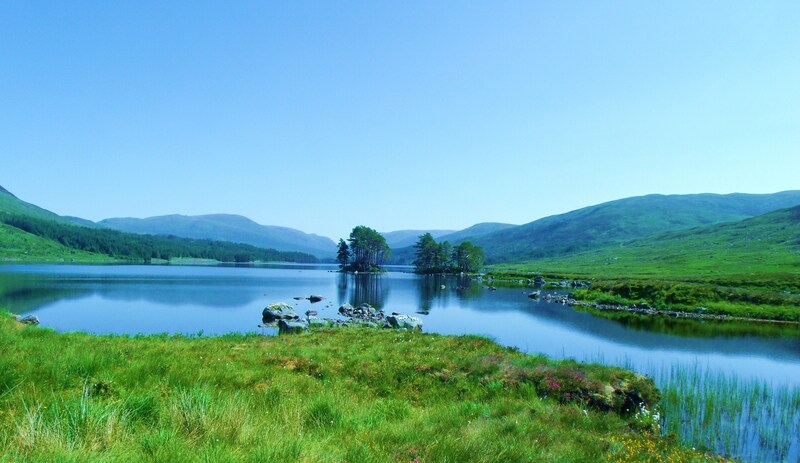 On the North Eastern edge of Rannoch Moor is Loch Ossian, part of the remote Corrour Estate. 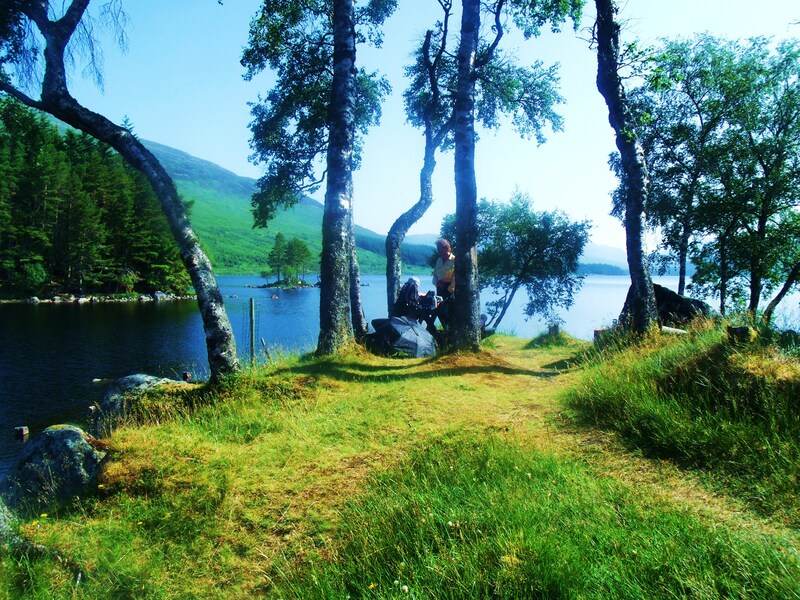 I recently visited there, staying at the Loch Ossian Youth Hostel, run by the Scottish Youth Hostel Association. To reach my destination required a journey on the Glasgow to Mallaig train. 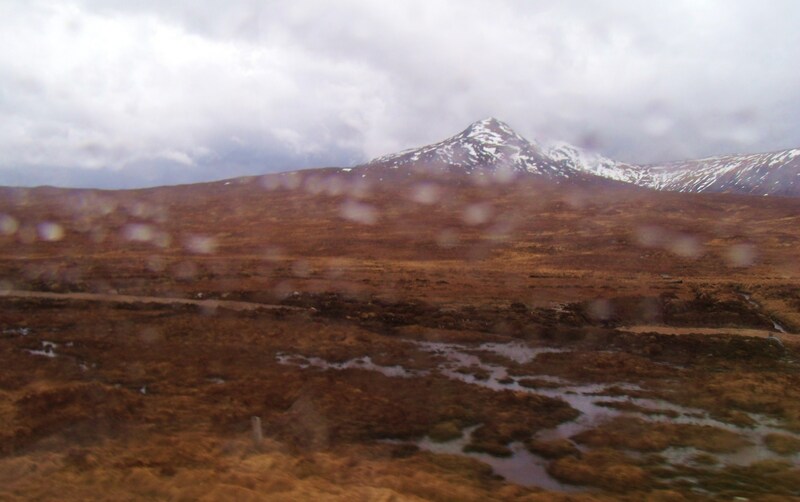 The journey itself is a thrilling adventure since the train crosses Rannoch Moor giving passengers viewing-rights of this vast wilderness, inaccessible, for the most part, by any other means. In places, the track is laid on piles of brush, in the absence of solid ground. The driver slows going over these stretches and the motion of the train feels like gently sailing. This is a ‘not to be missed’ experience. 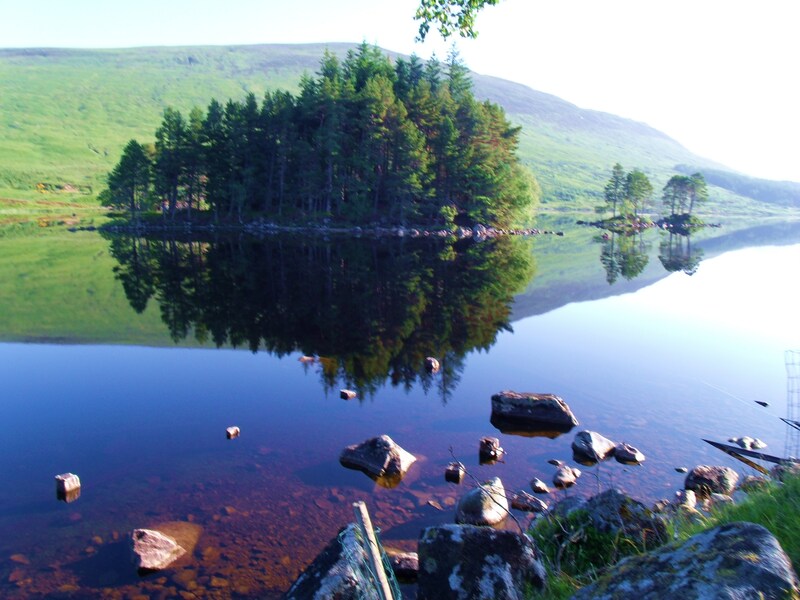 And so to Loch Ossian. Alighting at Corrour railway halt, I crossed the tracks on the boards provided and decided to have a snack in the track-side restaurant before tackling the mile walk with all my gear in tow. Corrour is the highest and most remote mainline railway station and the Station House the highest and most remote restaurant in the U.K. 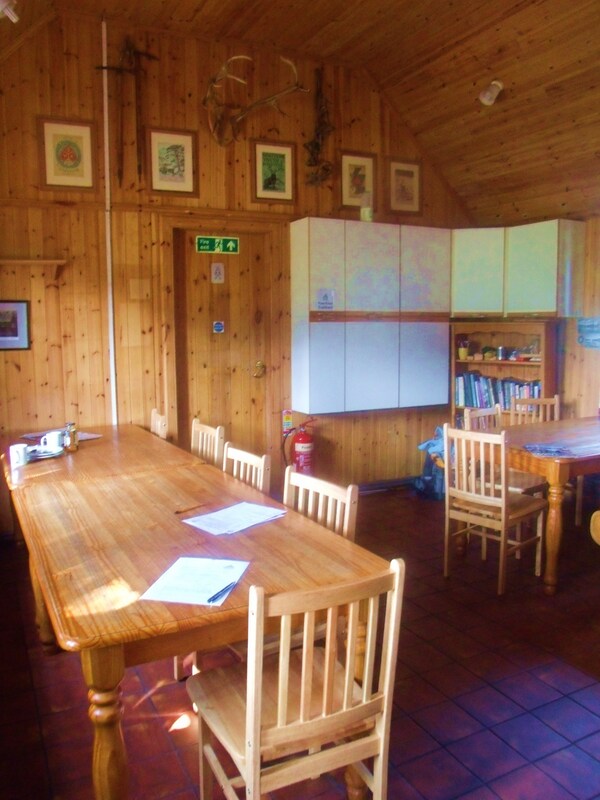 The latter is also run by the Scottish Youth Hostel Association. 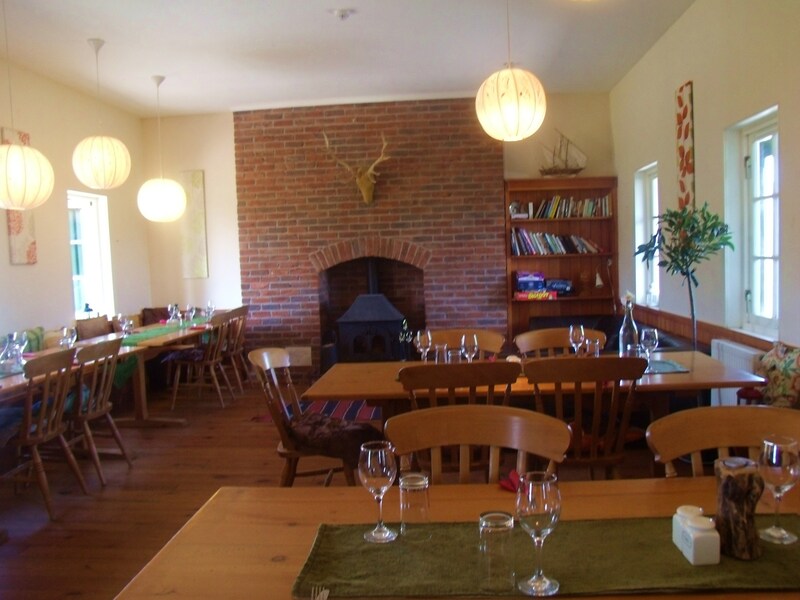 The interior of the restaurant is surprisingly civilised looking and the service is excellent. It felt bizarre to find this kind of sophistication so deep in the wilderness, yet having said that, it still had a ‘not of this world’ feel to it. The menu, rich in local game and whisky sauces and priced accordingly, was a little too exotic for both my purse and my palette. 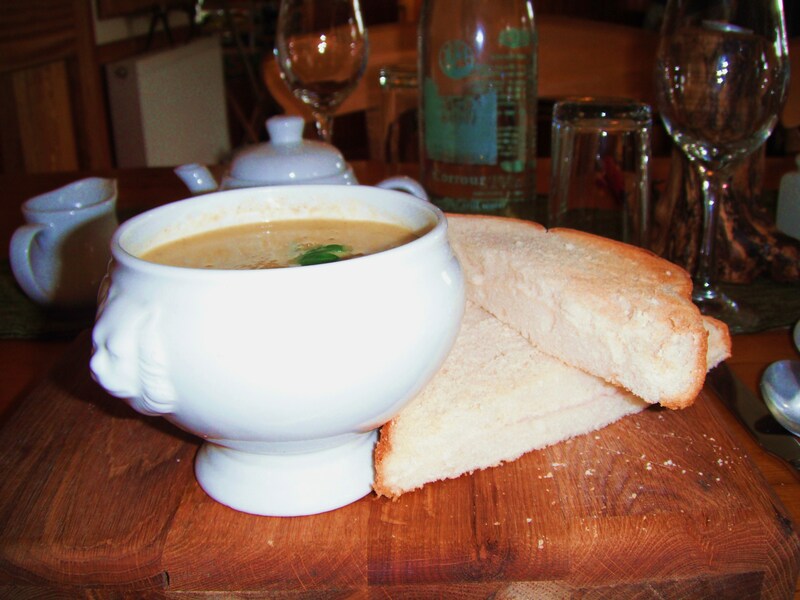 However, I did find a delicious wild mushroom and butternut squash soup that did not break my bank and suited my taste. I was so impressed, in fact, that I photographed this culinary delight. Before leaving this account of my dining experience, I would be remiss if I did not introduce you to the Station House Restaurant’s resident four legged friend. 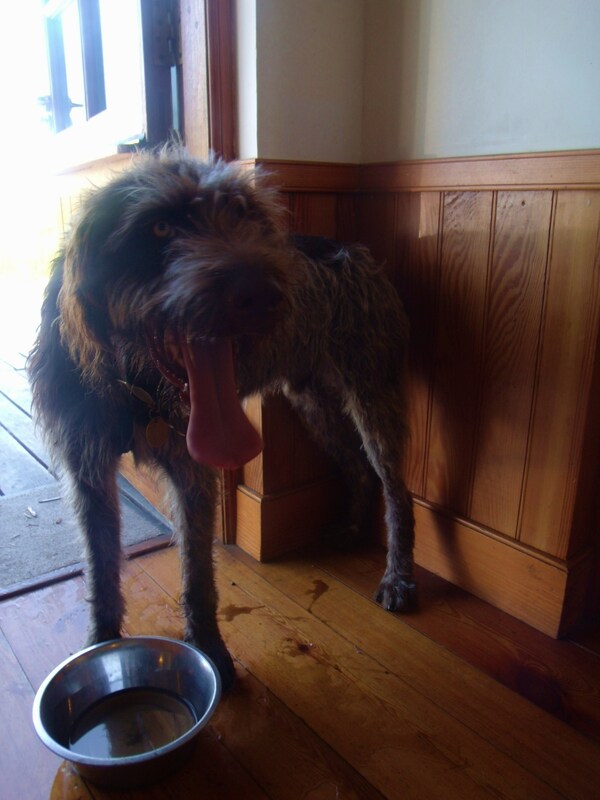 Archie hangs out at the back door and adds to the charm of the place. Soup and a pot of tea the richer, I headed east across Rannoch Moor on a pretty good private road towards Loch Ossian and the Youth Hostel. There follows a photographic account. Covering an area of 50 sq. miles, (130sq kms), Rannoch Moor was the site of the last great glacier in the U.K. during the last ice age. Averaging 1,000ft above sea level, it is a basin surrounded by mountains. 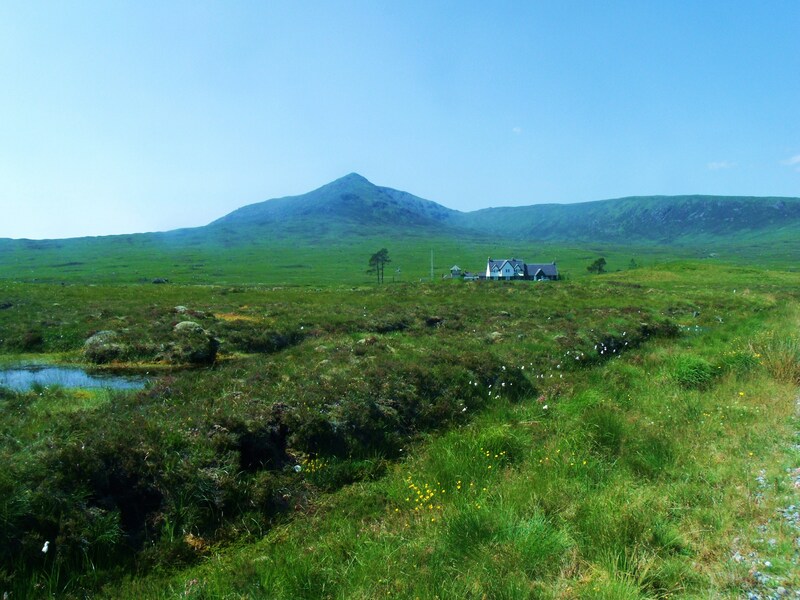 Its stratum is granite with a covering of peat bog punctuated by a variety of types of water bodies and streams. This ancient glacier site ‘is rising by around 3mm per year’, according to Wikipedia . 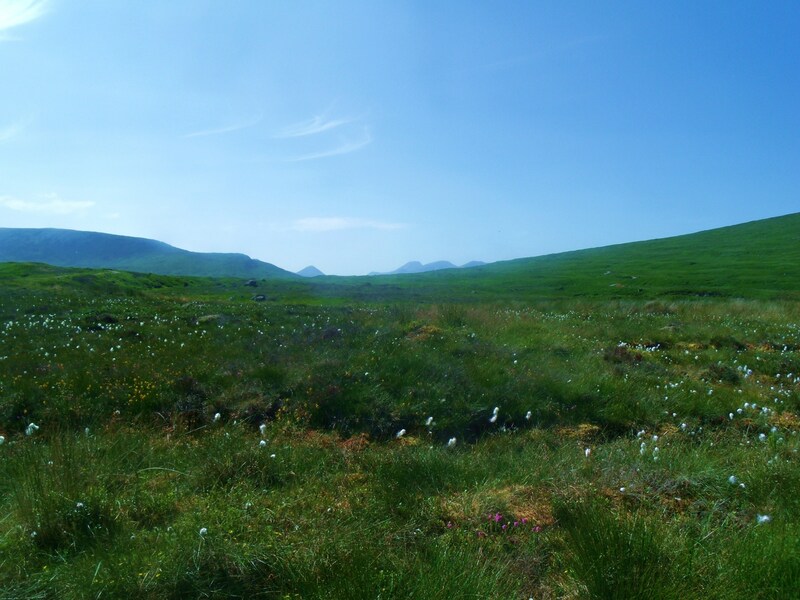 Wikipedia describes the moor as ‘a complex Blanket Bog’ , a.k.a. 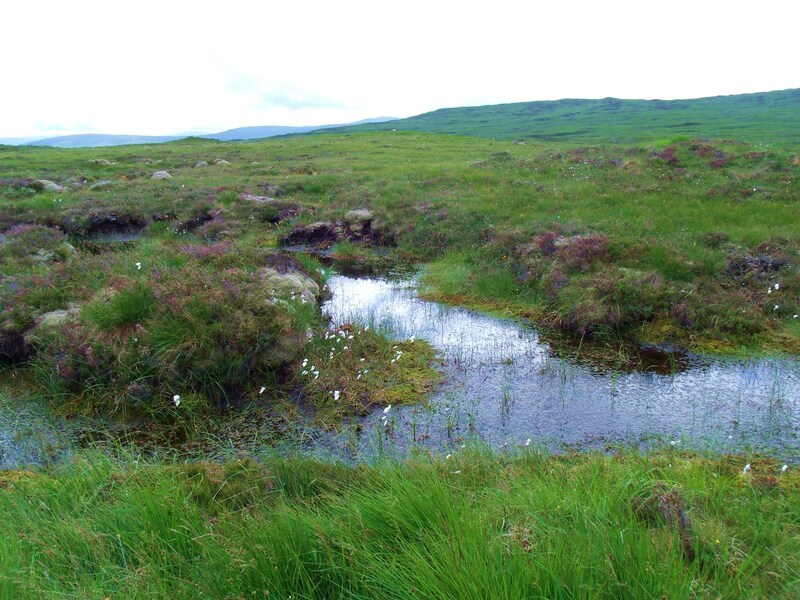 ‘Featherbed Bog’, made up of many different types of environment, e.g. ombrotophic, mineratrophic, mesotrophic, oligotrophic, dystrophic. These different catagories are based mainly on the water source, protein and oxygen levels of each area. In places, the peat is 20ft deep. Boulders, many of them huge, litter Rannoch’s landscape. These, I believe, were dropped by the vast glacier. 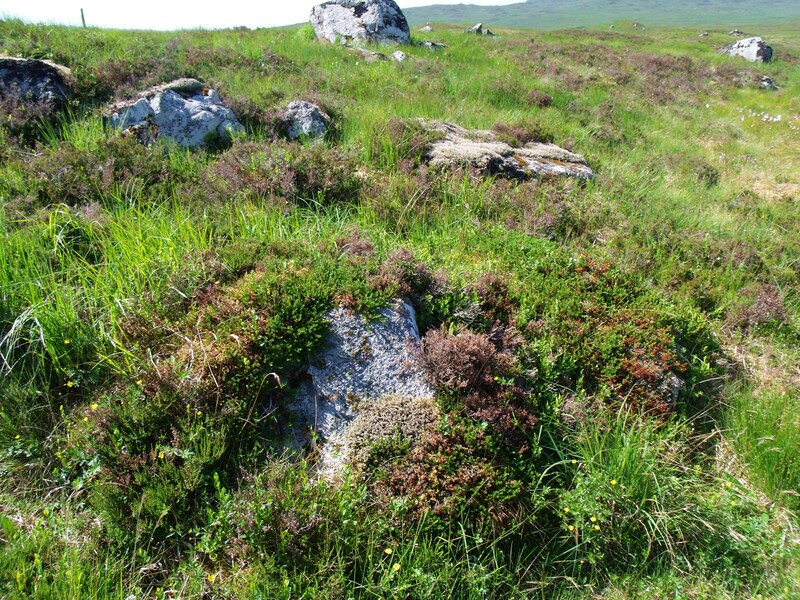 One of the striking changes in terrain at the edges of this ancient glacier site is the sudden absence of these giant rocks which often support a variety of flora unique to the area. The day of my arrival was typical of a good summer day on Rannoch Moor – a stiff breeze and variable, ever changing rain clouds. The day following was to prove memorable in its uncharacteristic, cloud-free stillness. For that reason, I have used, almost exclusively, photos taken during that time. 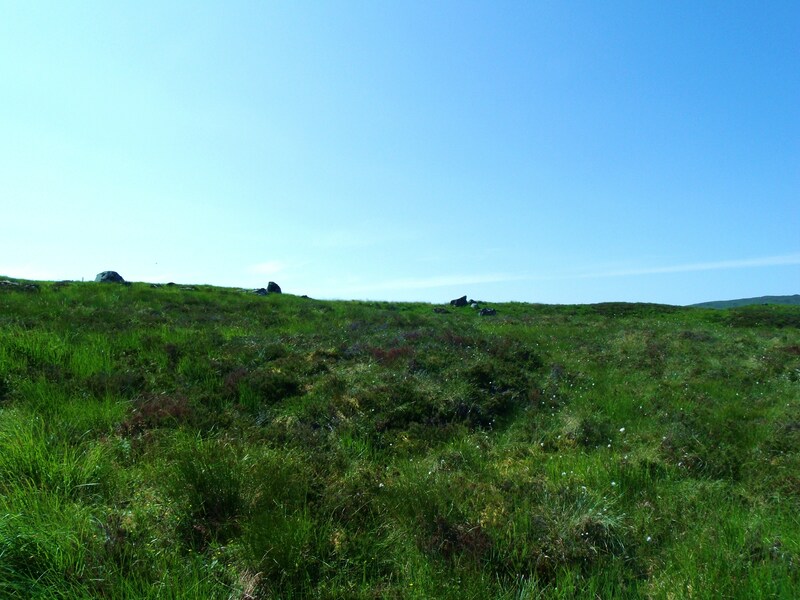 Even after a long, hot, dry spell of weather, The air on this great bog is fresh and odour free. 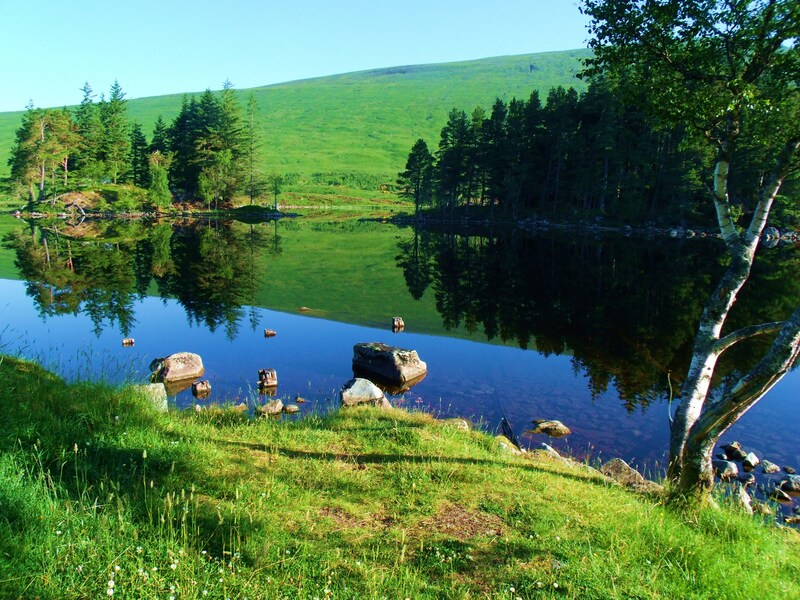 Low levels of nutrients and much oxygen in sitting water is probably responsible. 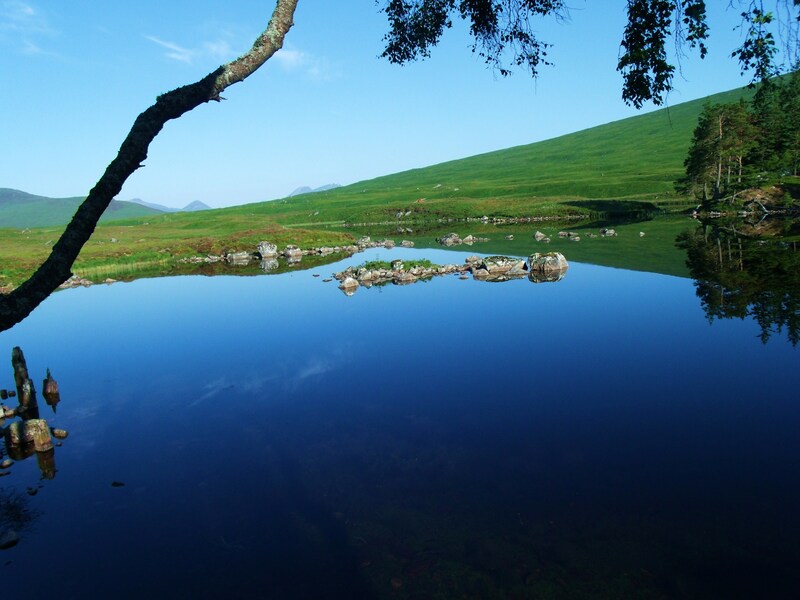 These photos are so uncharacteristic of the loch and surrounding moor, they are almost unbelievable. The blue, unclouded skies and totally still air seem out of place in an area reknowned for constant wind and rain. 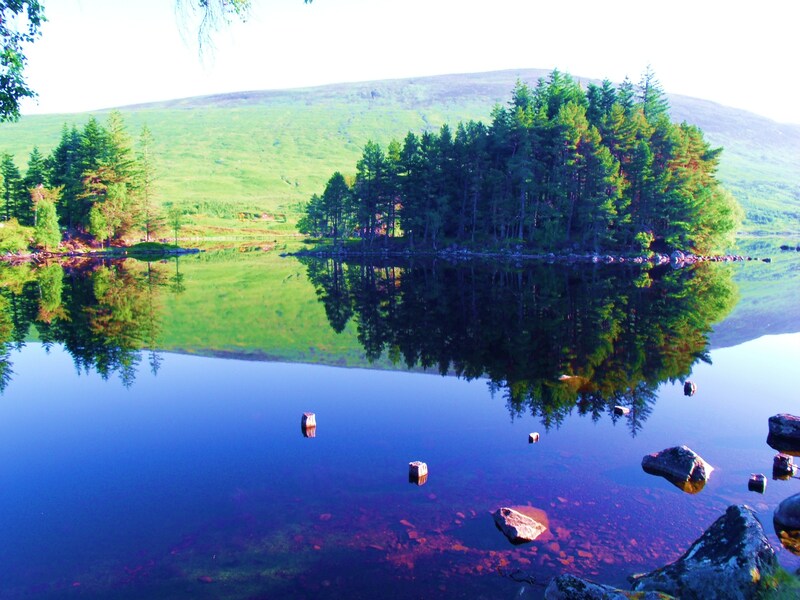 To see mirror-like water on the loch is rare. 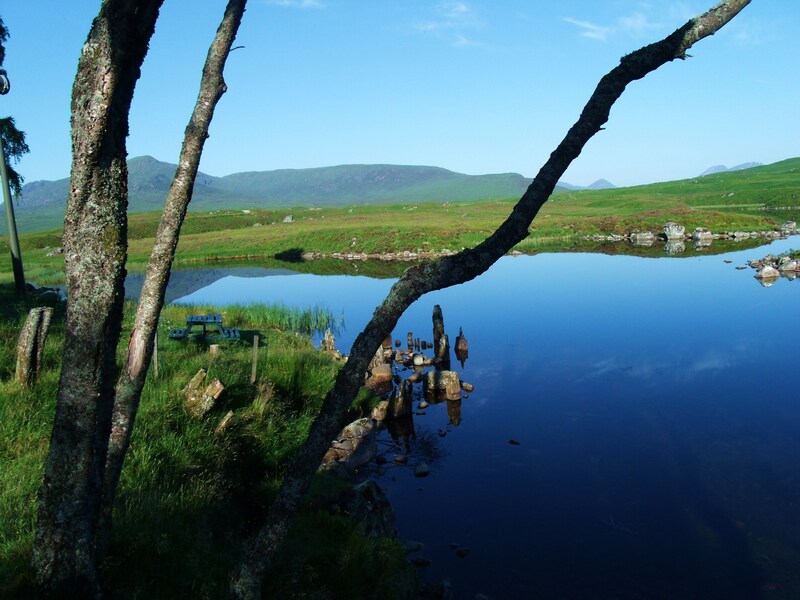 As a frequent visitor to Rannoch Moor, this stillness feels spooky – as if the whole place is holding its breath. 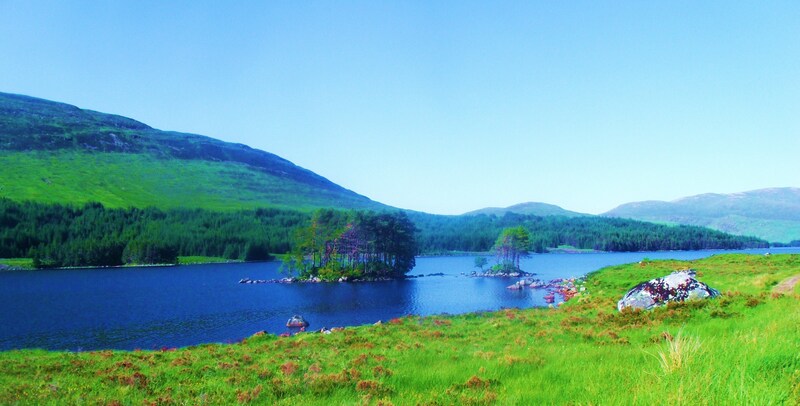 Loch Ossian is a narrow loch about 5km long. 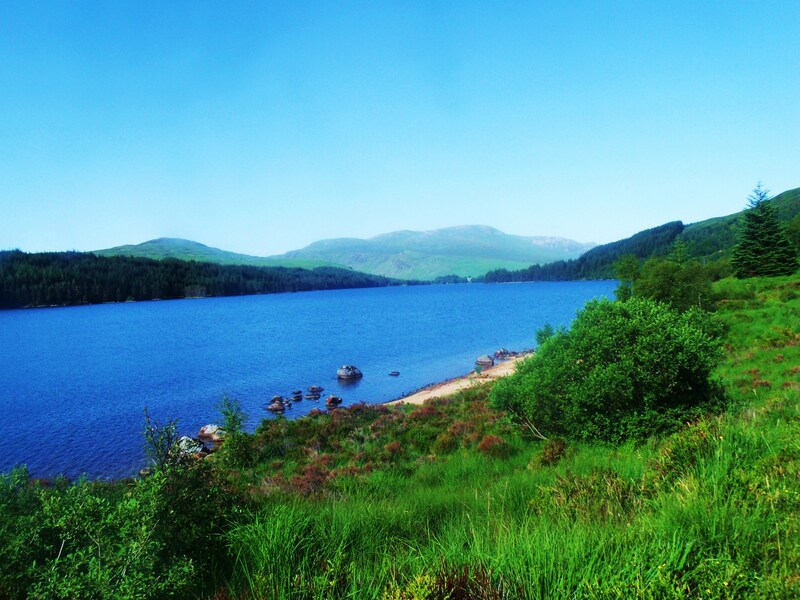 It drains into the River Ossian on its west side, flowing north into Loch Guilbaum and thence to the River Spean at Moy. In Autumn during the rutting season, the moor is alive with deer. It is impossible to walk any distance without encountering several of these lovely creatures. The air rings with the clash of antlers and the bellow of the stags. The place feels busy. 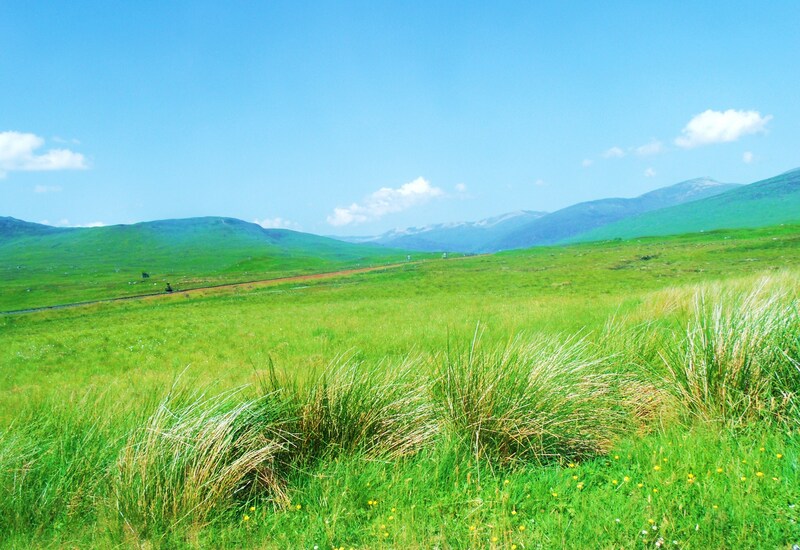 During the three unusually hot summer days of my visit, however, the moor appeared devoid of animal life. No curlews called, no hawks or eagles soared overhead, no deer ventured into the open. Only constant bombardment by a variety of large, biting insects reminded me that life abounds in this wilderness, while adding to my feeling of being in an alien place. 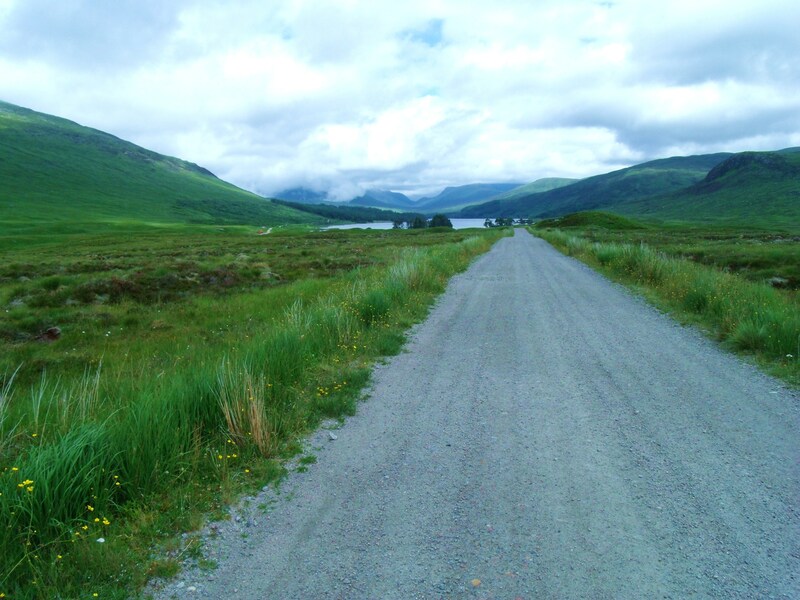 And, in fact, humans almost never venture on to Rannoch Moor. A few of us skirt around the edges on the few walkways provided, or ride across in the train, but, mostly, the moor lies undisturbed by human footprints, carbon or otherwise. There are only outside, dry compost toilets, so this location will not suit everyone. There is no phone reception, refrigerators, T.V. or food supplies other than army-type packaged food. However there is a well equipped kitchen where residents can cook food they bring in. 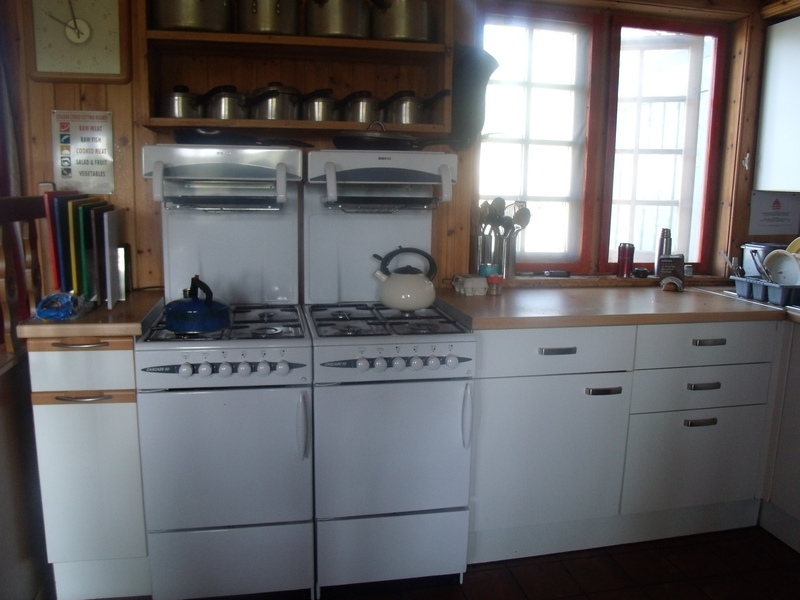 Water is heated by a wood stove so hot water is in short supply, particularly in warm weather when it is non-existent. There are adequate wash rooms, however. Two small dorms – one each for males and females are airy and comfortable with decent sized bunk beds. Washing machines and dryers are not to be had. 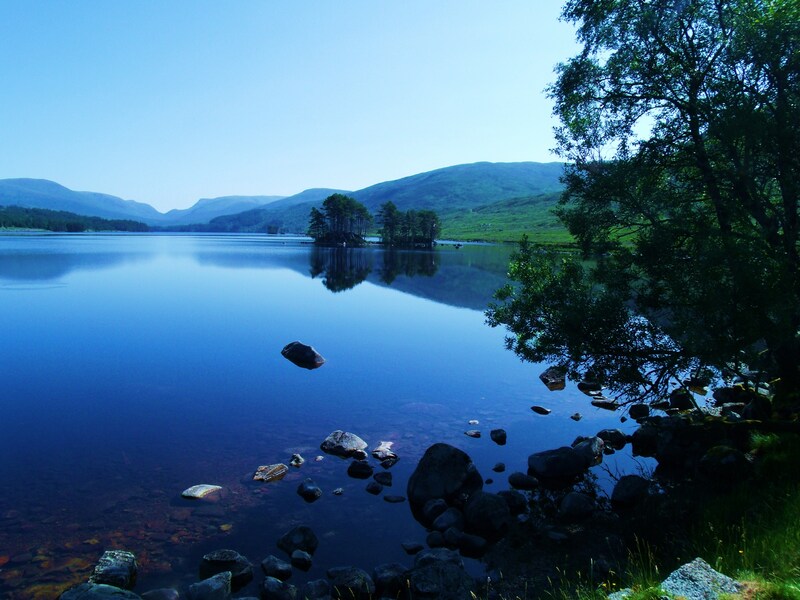 The differences between the East and West ends of the loch are striking as the unique characteristics of Rannoch Moor give way to gentler, more pastoral, less boggy, and more hospitable terrain. The change is sudden and complete as evidenced in the photos following. 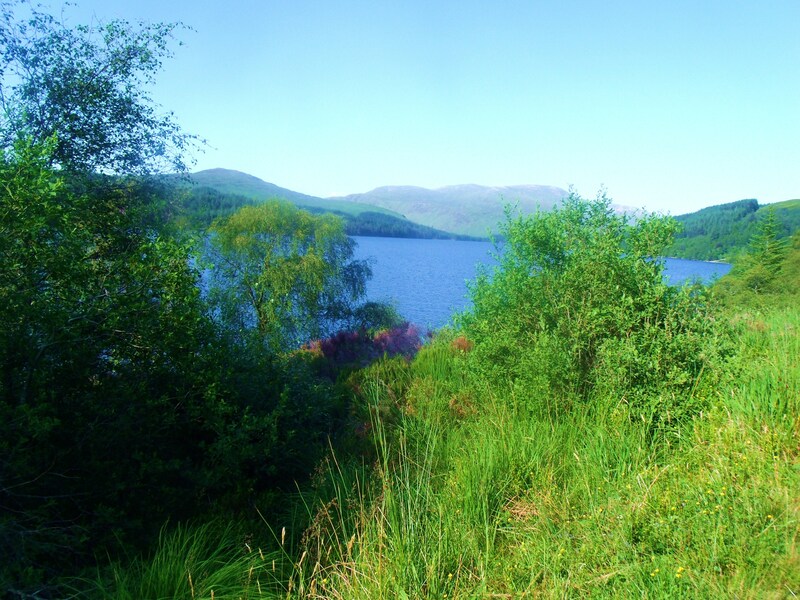 Even at the extreme West end, however, only one bank retains the Rannoch flora and geology as the moor ends abruptly at the water’s edge. 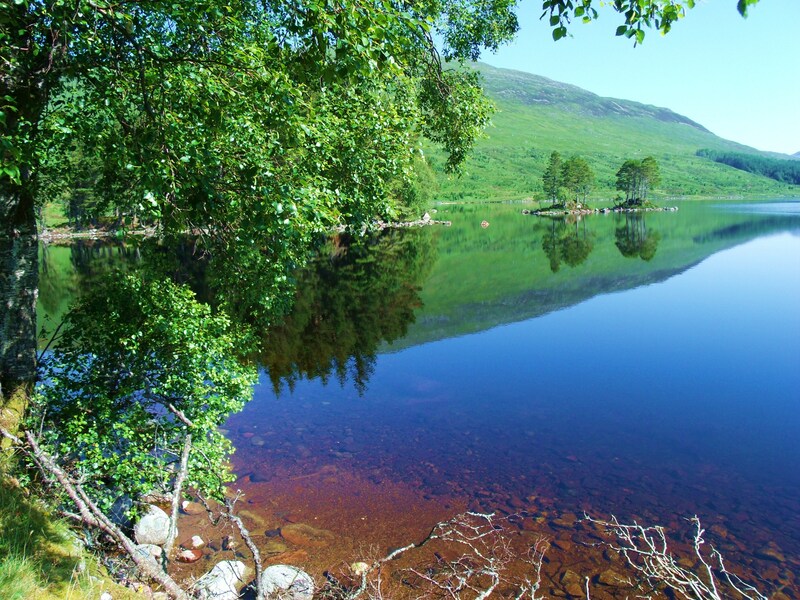 As well as completely different kinds of vegetation on the bank, the water of the loch at this end is free of the rocky outcrops and islets so typical of the Rannoch moorland lochs and lochans. As evening approached, I returned from my hike, hot and bug-bitten, but mightily satisfied. And so to bed. 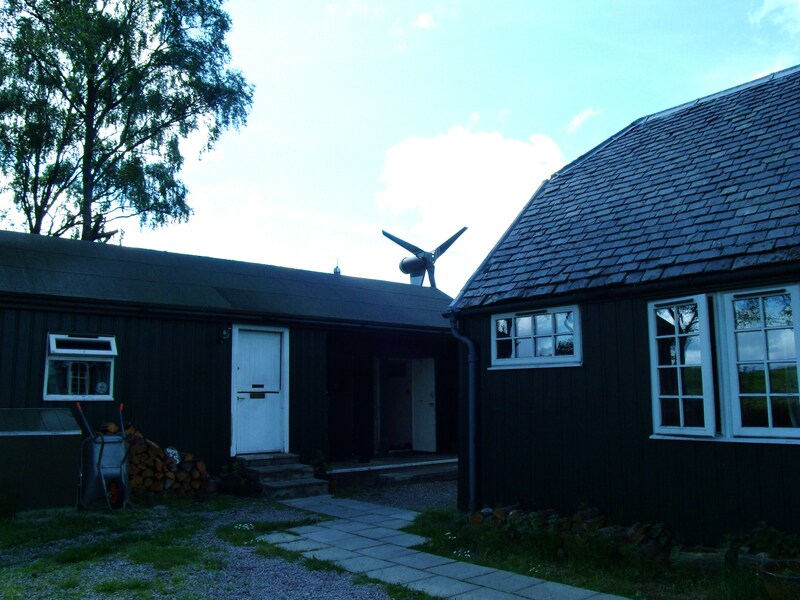 For those who would like more detailed information about Rannoch Moor or the Corrour Estate, the links following will serve you well. While the facts about these places are public knowledge, the sites below are interesting mines of detail and data, collected and presented beautifully. They add to the ‘bare-bones’ descriptions I have supplied. These were my sources for some of the information in the text. Observations, creative writing and photos are all my own.